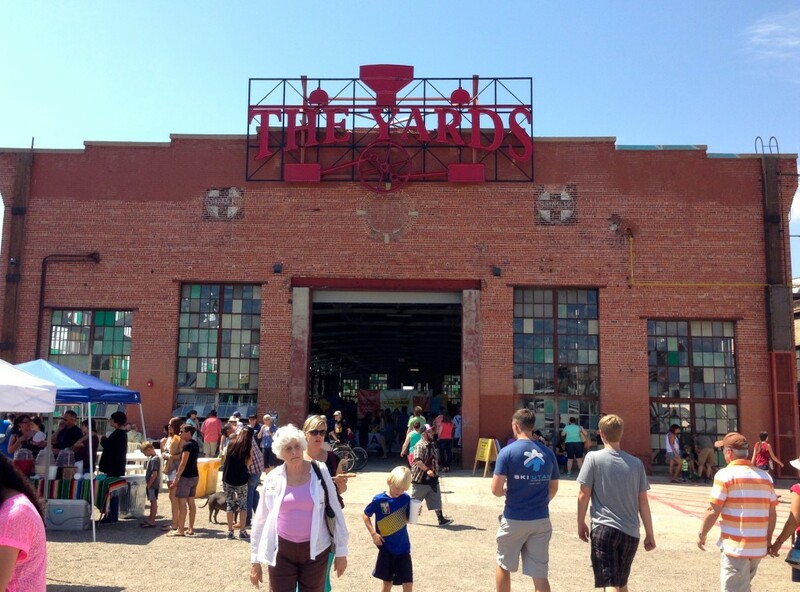 On Sundays from 9-3, May 4 – Nov. 2, you can visit the Rail Yards Market near downtown Albuquerque, NM. 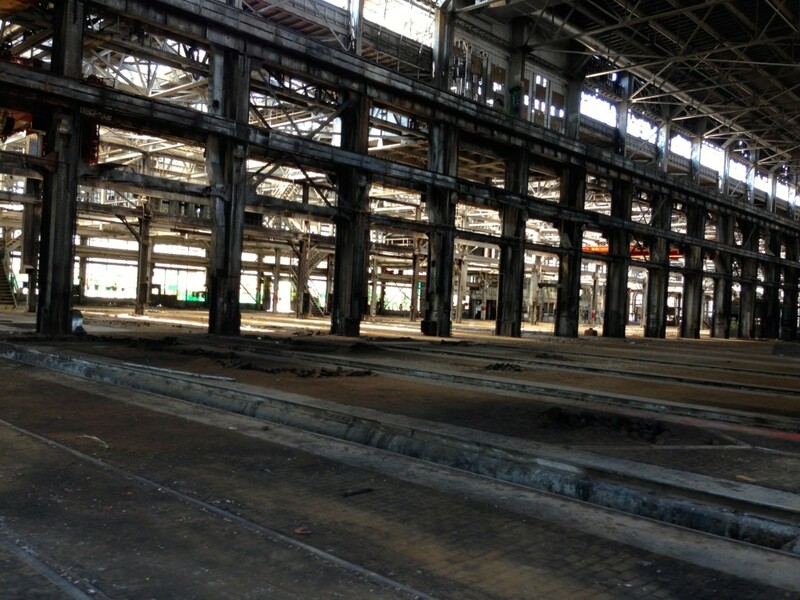 The site is next to the tracks and is in a huge old Santa Fe Railway repair shop. The market has over one hundred vendors and artists. It draws thousands of people. Outside there is plenty of free parking and a line of food trucks. It is worth the trip. It is close to the Rail Runner Station and could be combined with a trip to Santa Fe and the markets there. It is also near the Amtrak Station and downtown Albuquerque. Entry to the Rail Yards Market building. Inside, which is free, you find artists, bakeries, local produce, music and crowds. Turn down your hearing aid. 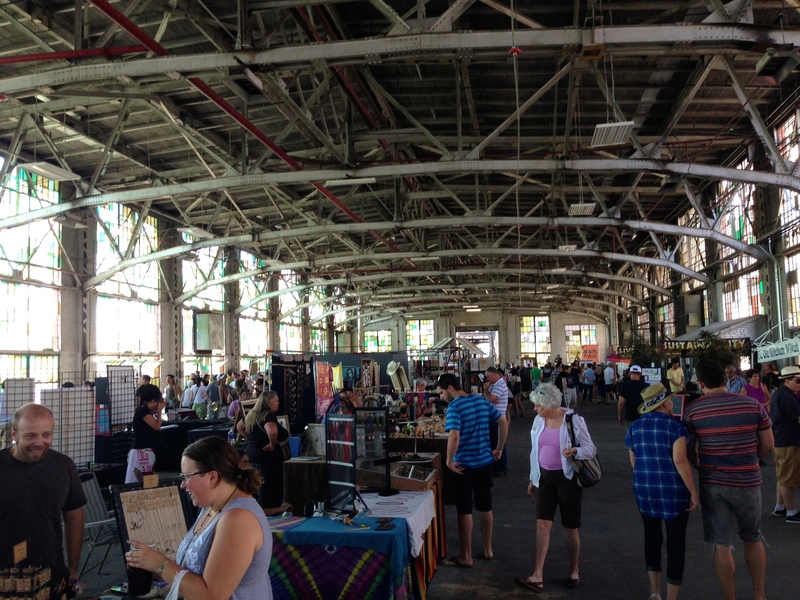 Rail Yards Market on July 27, 2014. Rail buffs, and most other people, especially those of us who can remember riding the train to college, will be fascinated by the interior of the Santa Fe Railway Repair Shop, now abandoned, waiting a new life, and used as the setting for a number of movies. To learn more about the rail yards visit the City of Albuquerque web page. 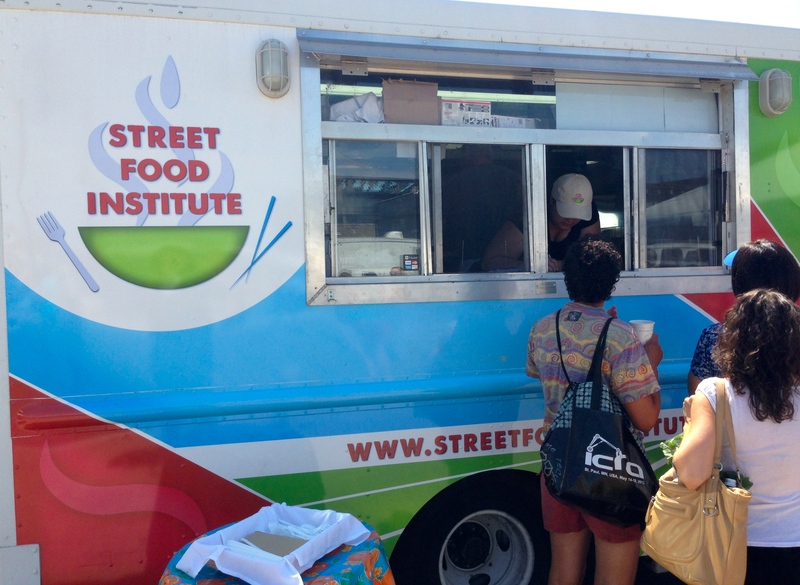 Street Food Institute student food truck. Maybe you are looking for a second career in your retirement. Central New Mexico Community College in conjunction with the Street Food Institute offers a course in “Street Food.” Maybe you should apply. Visit Craigs List to find food trucks for sale. A PUZZLE FOR SENIORS ON VACATION!! DINNER WITH 96 YEAR OLD QUAKER IS HIGHLIGHT OF COSTA RICA TRIP!